Lekshmi S. is an Assistant Professor of English in NSS College, Nenmara, Palakkad, Kerala. She is pursuing her Ph.D in Eco-Feminism at Sree Sankaracharya University of Sanskrit, Kalady, Kerala. She was a participant and paper presenter in many regional, national and international seminars and conferences. Apart from being an academic she is an avid traveller and reader. She has great enthusiasm for actively participating in any movement related to environment and the conservation of it. 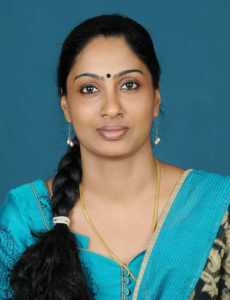 She is one of the Coordinators of FSLE-India for Kerala North Region.